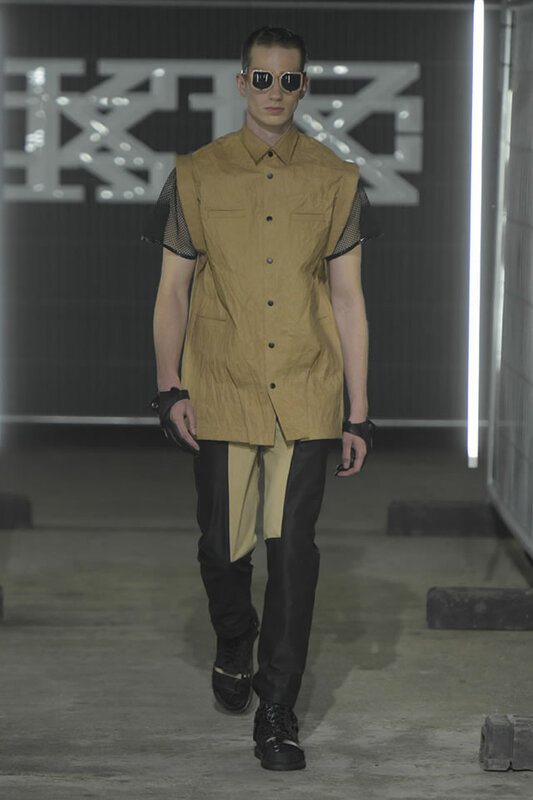 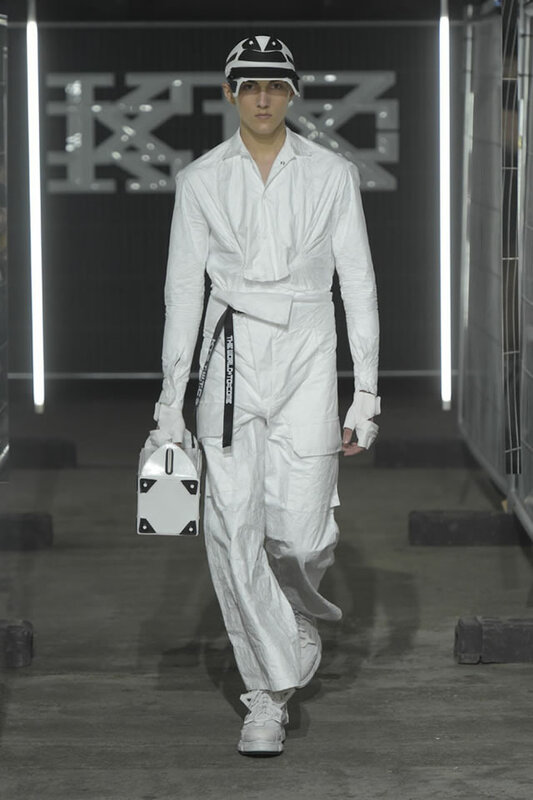 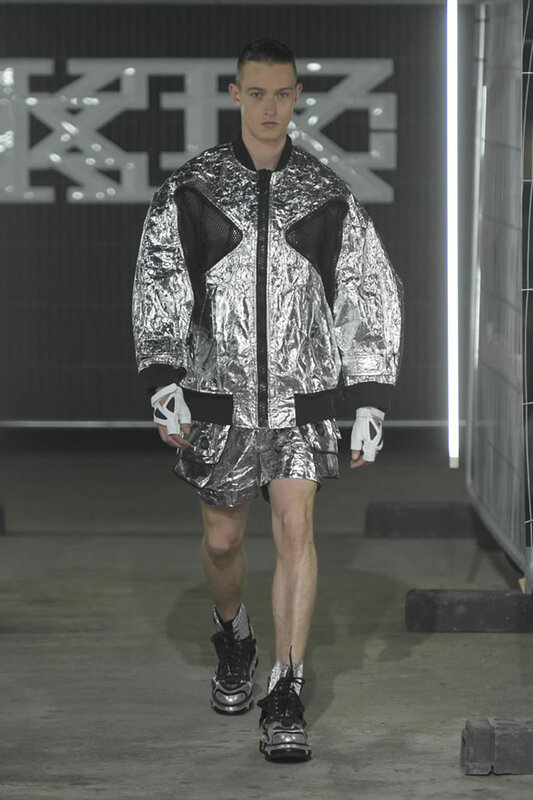 Marjan Pejoski’s army of models brought to mind dystopian superheroes and computer game characters, as they stomped out onto the runway space he had set up in disused railway arches, lit by fluorescent strips of light and lined with metal railings. 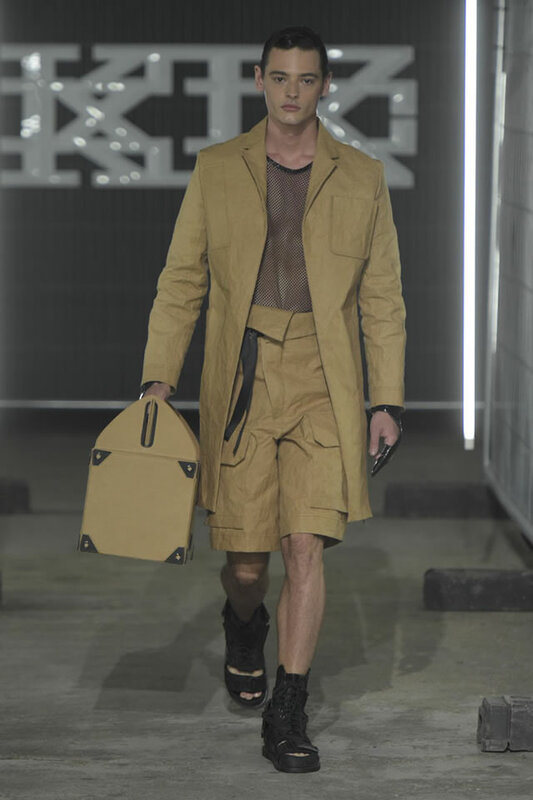 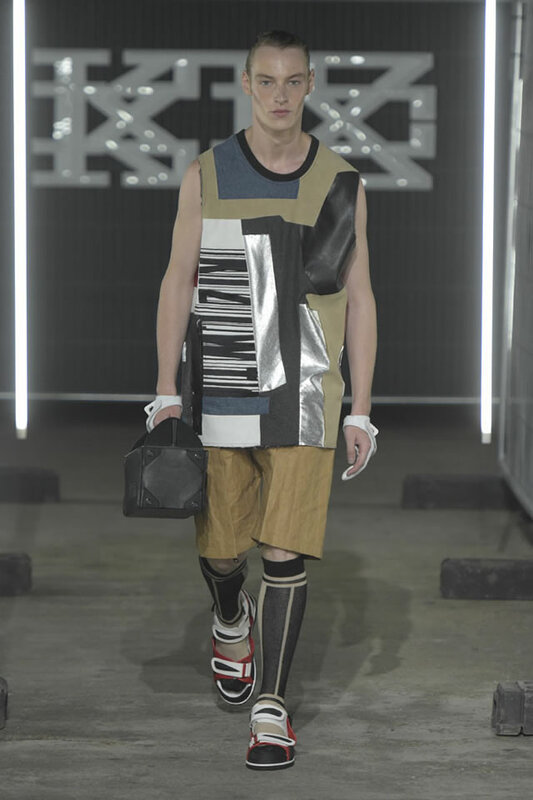 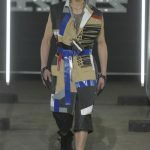 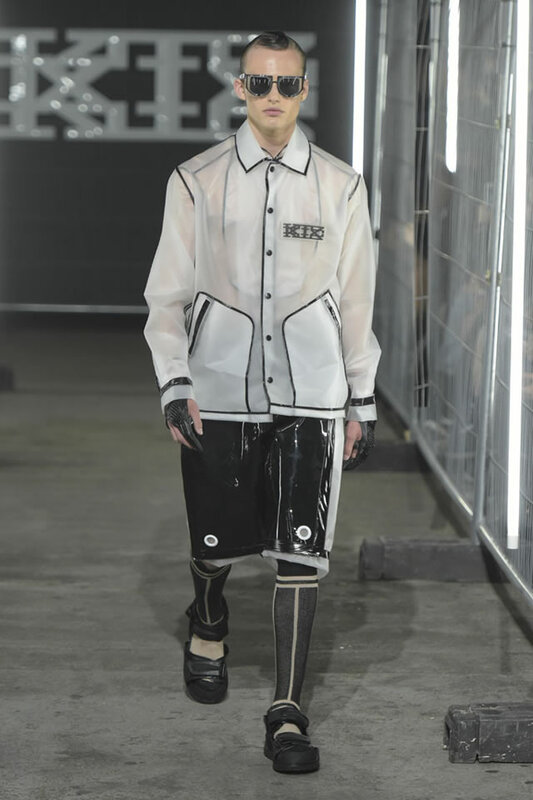 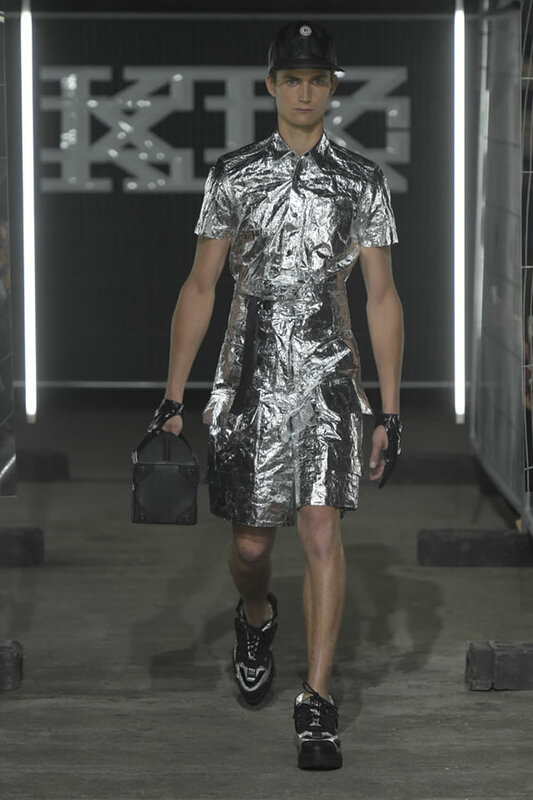 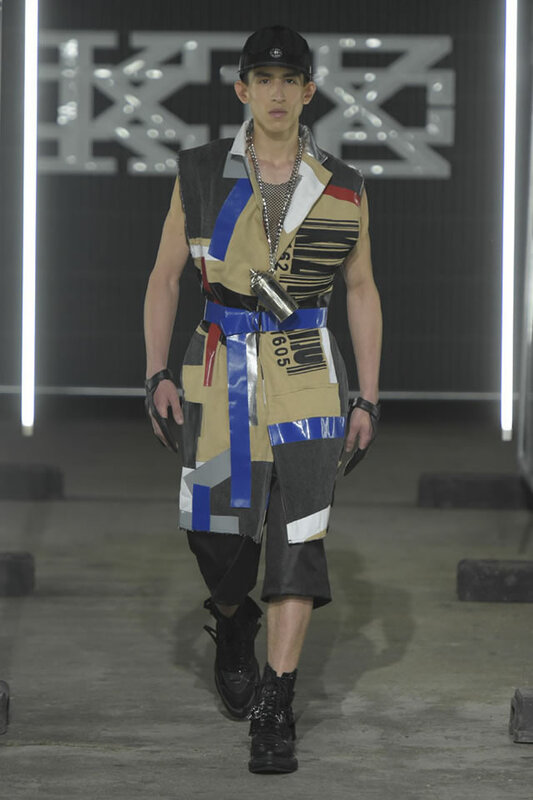 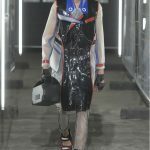 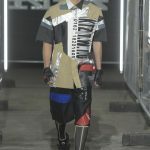 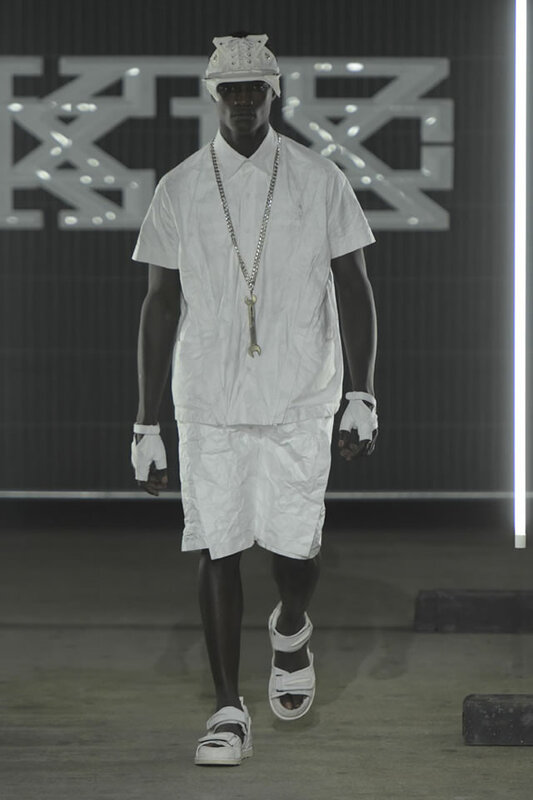 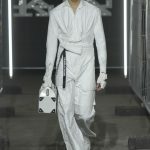 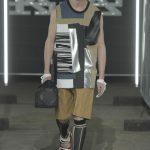 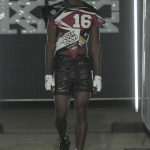 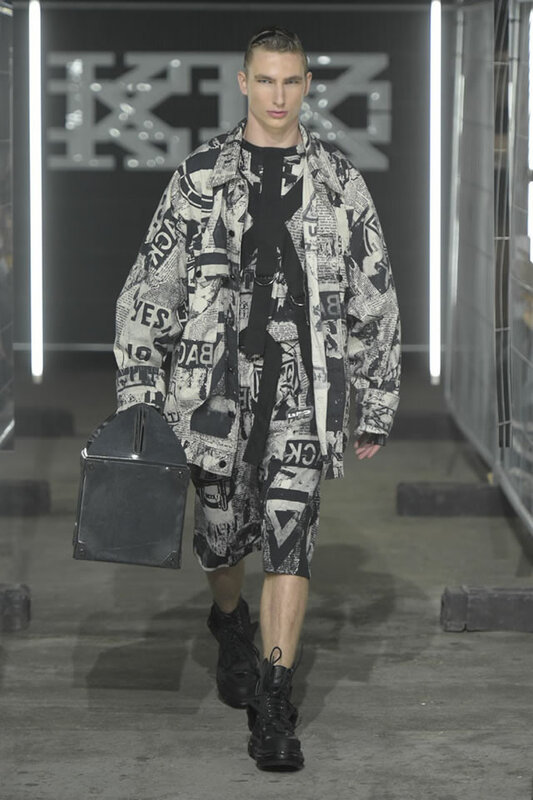 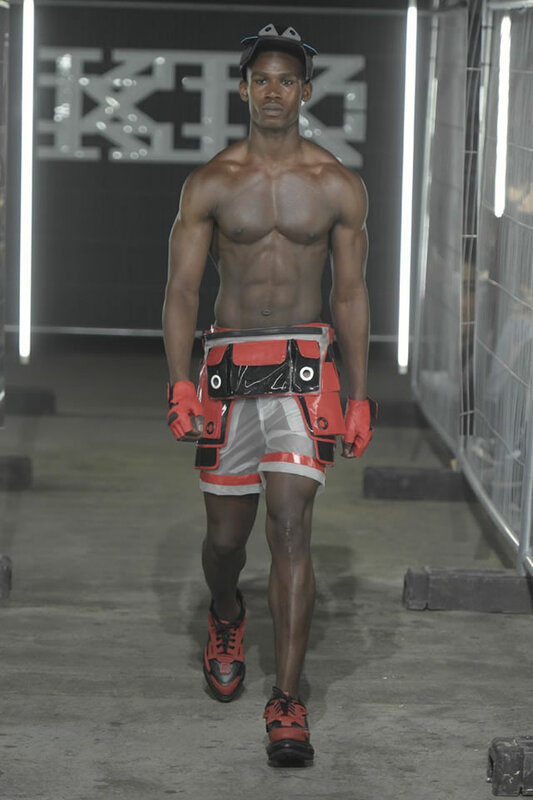 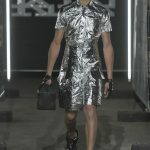 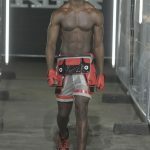 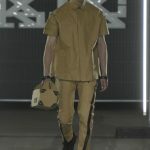 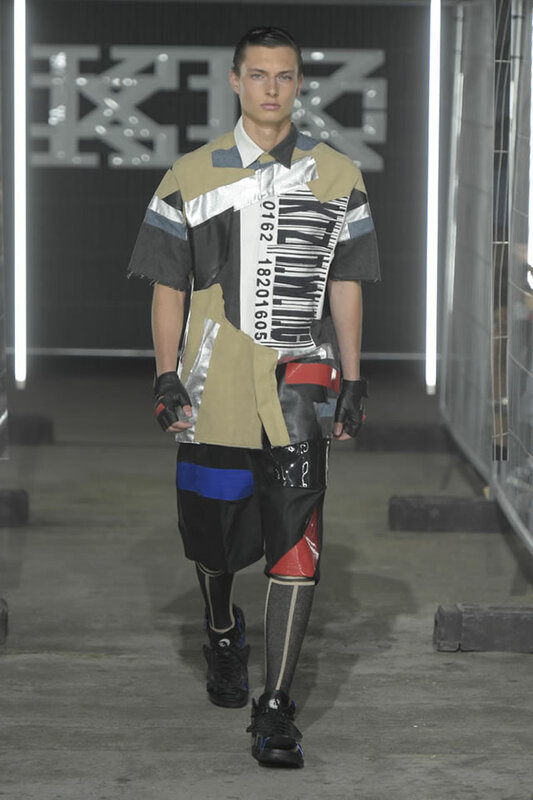 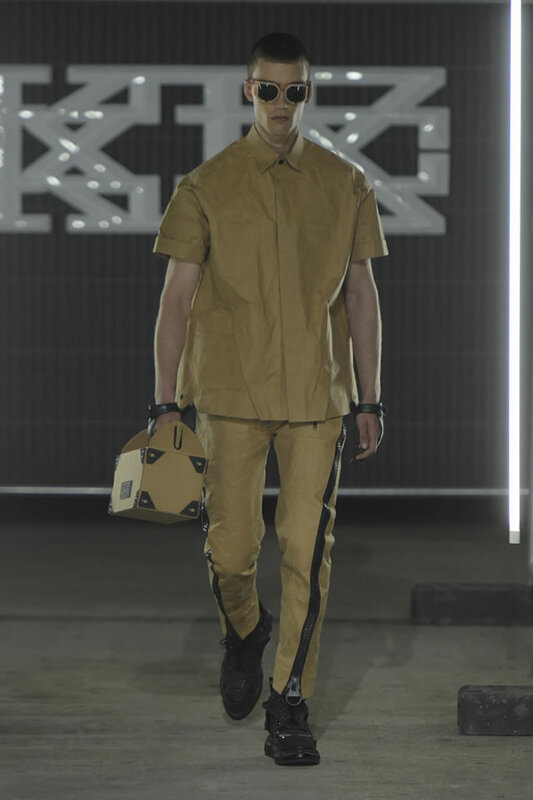 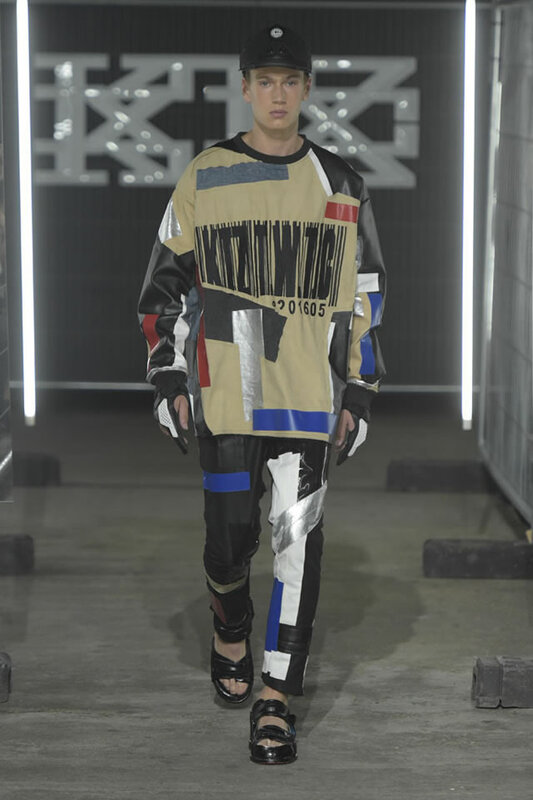 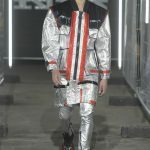 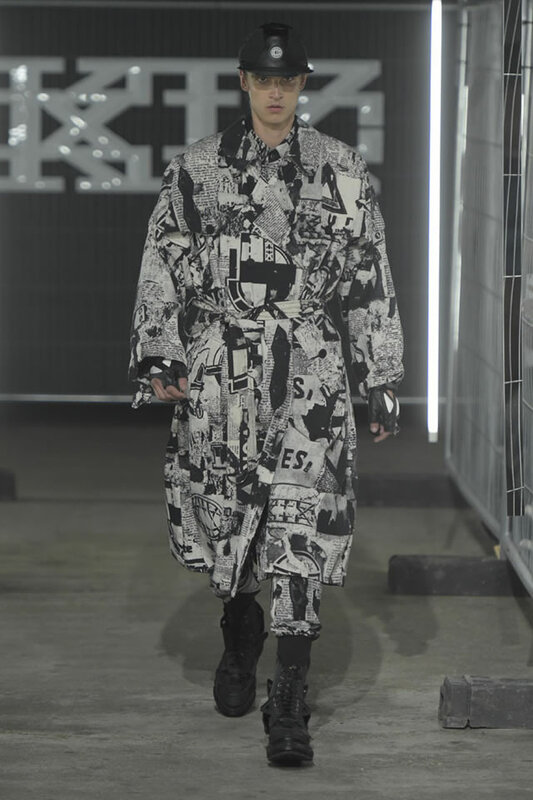 Pejoski said in his show notes that he’d wanted to work with “unusual industrial materials,” among them paper, rubber, aluminum and electrical tape, and the clothes looked more like objects that had been soldered together in a workshop than cut from material. 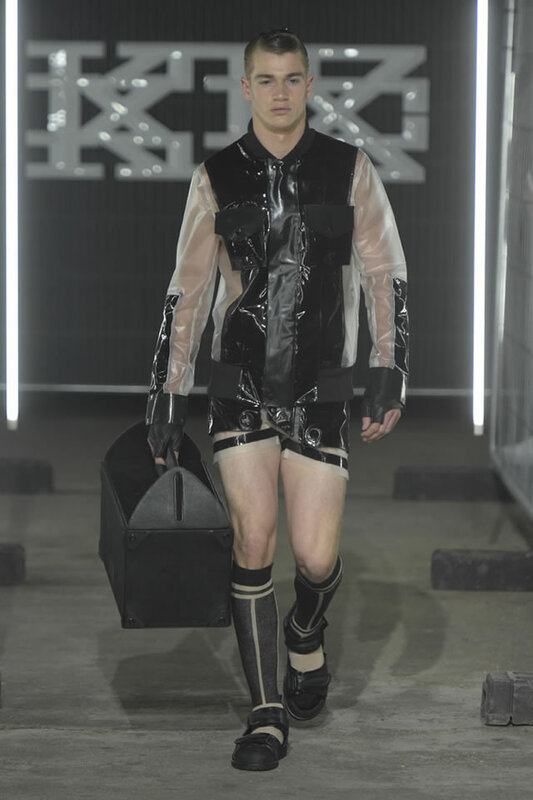 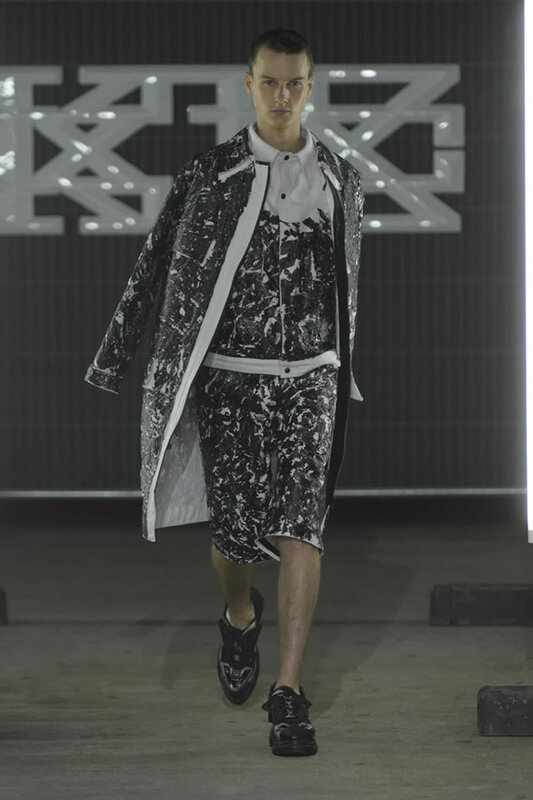 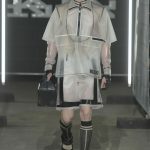 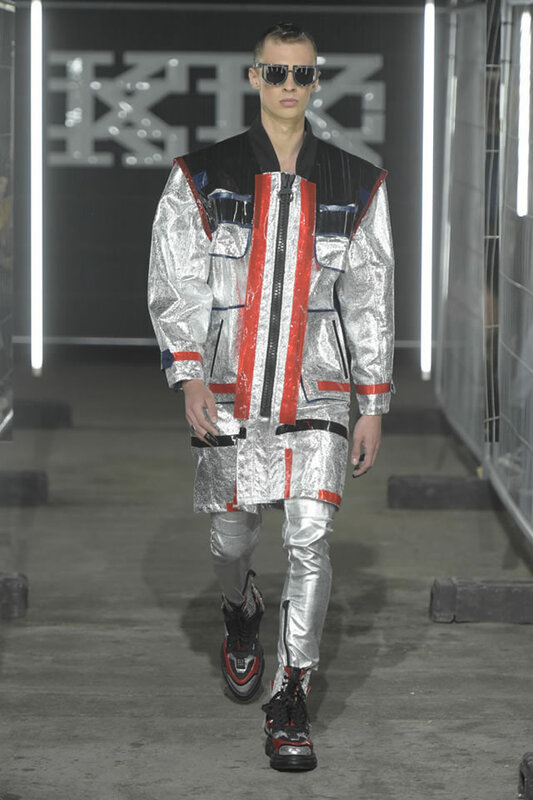 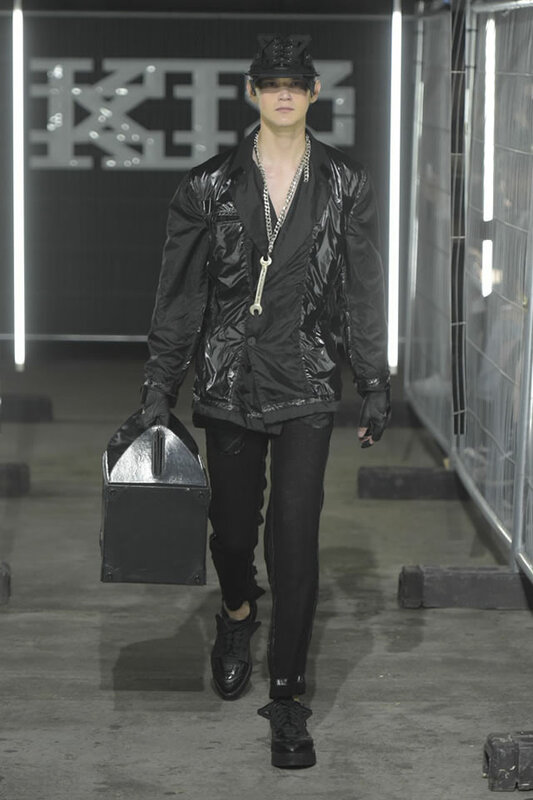 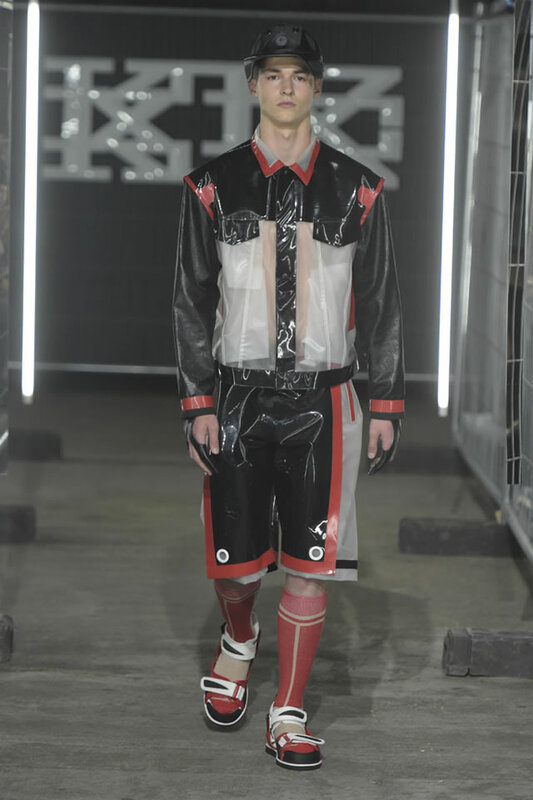 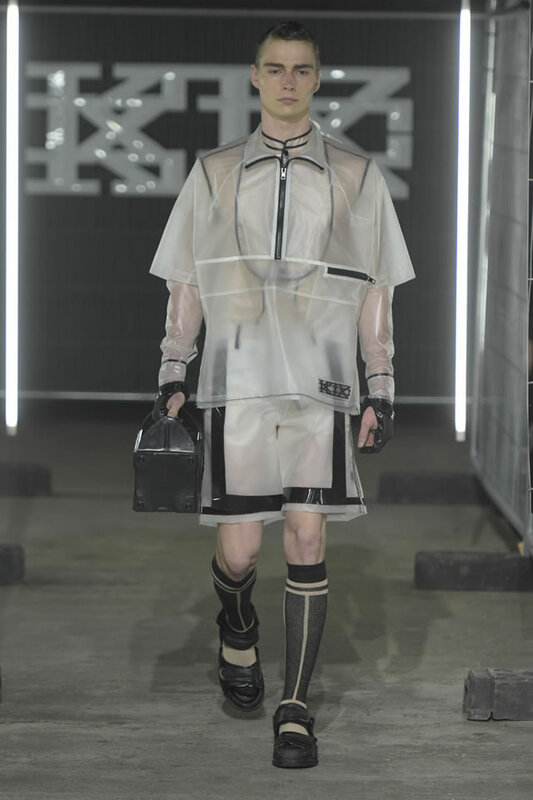 One trenchcoat was made of panels of translucent white plastic and shiny black PVC, with seams in bright red and royal blue, while an oversize bomber was done in silver foil with net patches, and paired with matching shorts. 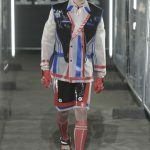 Pejoski complemented the looks with thick-soled walking sandals in shades of red, blue and bright white, which added to the comic-book mood. 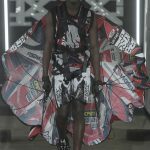 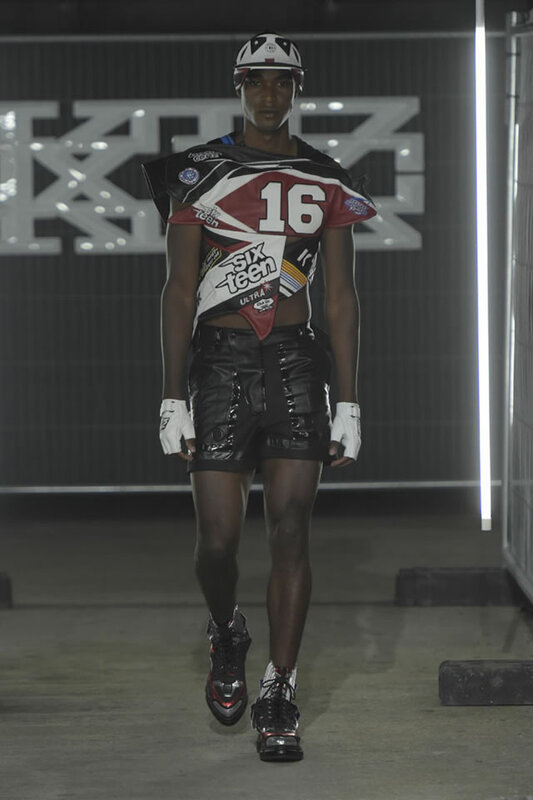 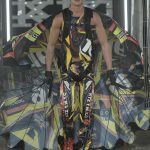 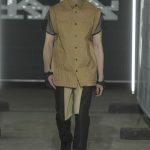 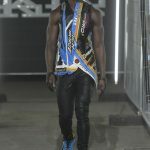 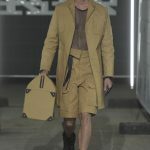 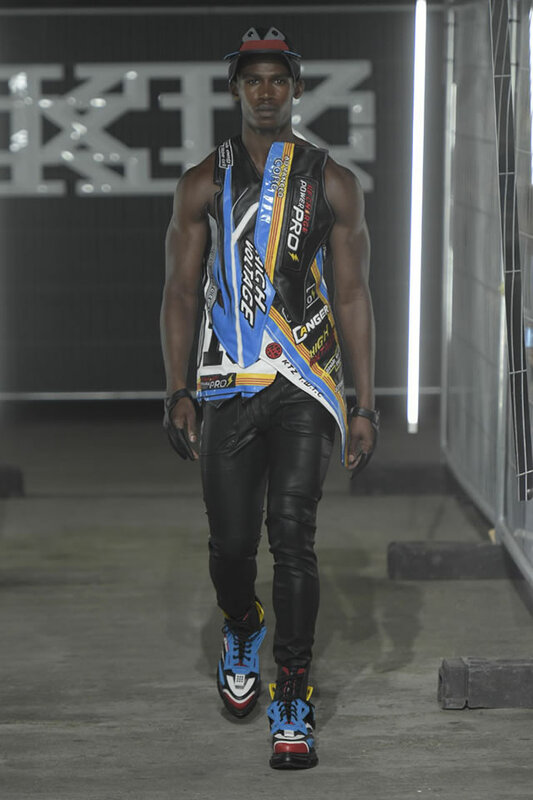 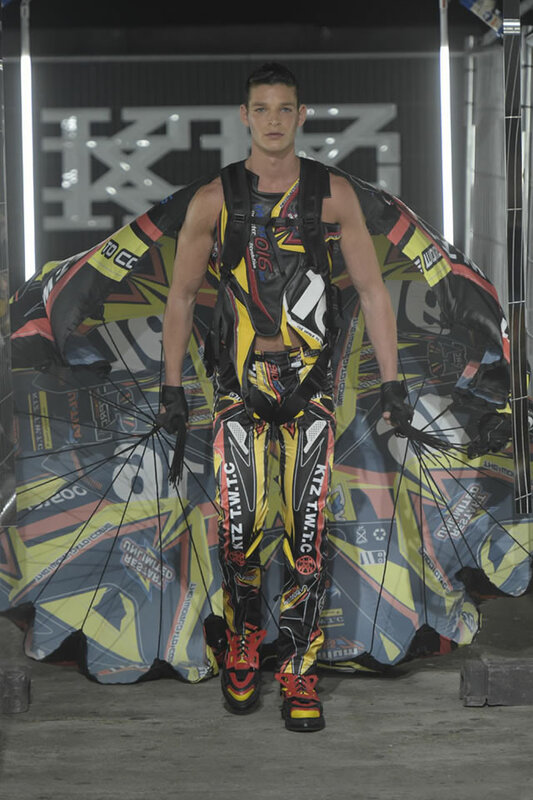 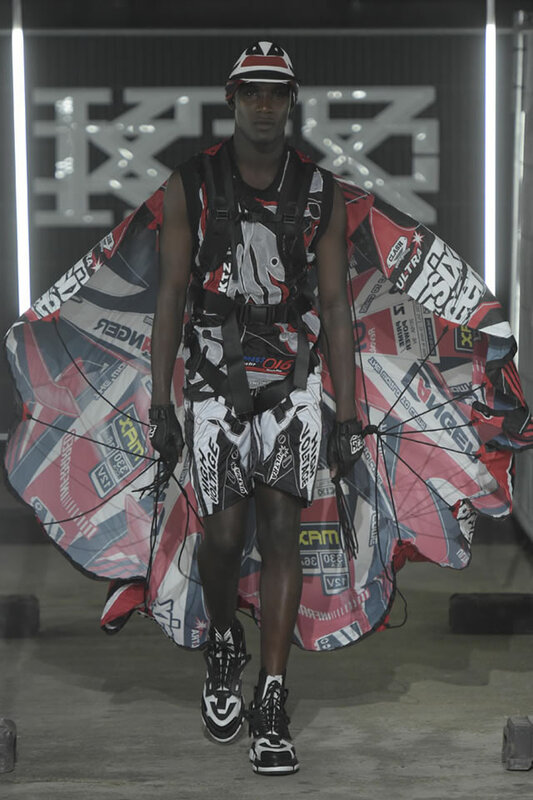 As a finale, the designer sent out models wearing vests and pants patched together from different motorcycle leather logos, some trailing parachutes on their backs. 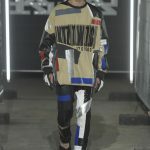 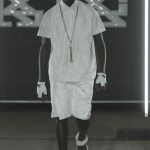 Pejoski no doubt operates at the radical edges of ready-to-wear, but his celeb fans A$AP Rocky, Kanye West and Wiz Khalifa have all worn the label’s wares will find plenty that stands out in this lineup.